The Cheltenham Roar will be fiercer than ever this year, and top bookies across the UK and Ireland are getting ready for one of horse racing’s favourite events. With the festival just around the corner (kicks off Tuesday, 31/3), odds are rapidly changing and updating. The favourites for each race are generally cemented but that doesn’t mean there are no other outcomes worth pursuing. 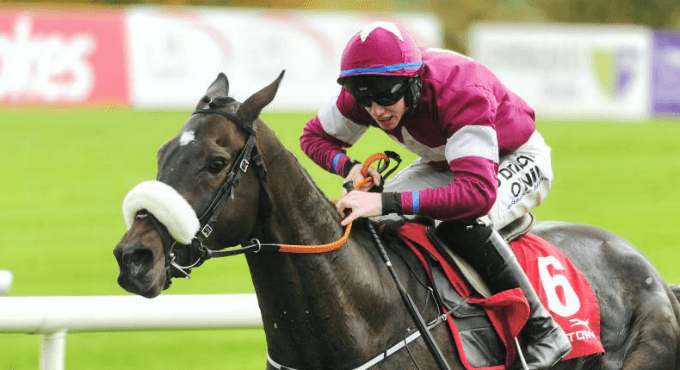 Wagering on Cheltenham can be truly unpredictable but it is always an incredible source of fun for horse racing betting fanatics and once-a-year bettors alike. We are less than a month away now, so dust off your fanciest hat and start perusing some of the awesome horse talent that will be on display at Cheltenham 2018! Gary Moore is considering a run prior to Cheltenham for Benatar in the Pendil Novices’ Steeple Chase at Kempton on February 24th. If all goes well, this could prove a decent warm-up for the Irish 6-year-old who is unbeaten over fences. Benatar is a solid pick for his race on Paddy’s day at Cheltenham. Speaking of Paddy, the namesake bookmakers currently have the bay gelding at 8/1 for an outright win. Cracking Smart looks pre-built by the Gigginstown House Stud for the Albert Bartlett based on his recent performance at Naas, in which he came a length second to Next Destination. The Albert Bartlett is a relatively open division in comparison to other Cheltenham races. Expect odds to shift heavily in the lead up to the festival, but at this point in time Cracking Smart looks to be worth a punt with odds of 6/1 at William Hill, who are offering No-Runner No Bet on all Cheltenham 2018 races. Harry Whittington, Saint Calvados’ trainer, rates him well. The 5-year-old has done well in his first two starts over bigger obstacles. He beat the next horse by 9 lengths at Newbury and jumped very well considering the bad ground. While it is true that he hasn’t won by beating anything special in his two starts he has looked superb when destroying a small field at Warwick. Ladbrokes have him at 5/1 for the Arkle Chase, and if anybody is to beat Footpad he may be an outside but decent shot. Willie Mullins didn’t run Douvan in Saturday’s Red Mills Chase at Gowran Park. Mullins decided on a “conservative approach” to his recovery, having not run since suffering a defeat and injury in last season’s Queen Mother Champion Chase. A lengthy recovery has supposedly helped out Douvan, who is said to be in great form and is going straight to Cheltenham. Check this one out at Sportnation. Apples Shakira is the favourite for the Triumph at the time of writing and it’s hard to argue that anybody else will be first past the post for this one. She is unbeaten in four starts over hurdles but is yet to tackle ground quicker than soft. However, she has done absolutely nothing wrong to date and as such looks to be an excellent contender for the Triumph, with NetBet offering odds of 11/4. Might Bite skipped a potential outing at Newbury on February 10th in order to retain energy for what will prove to be a massively competitive Gold Cup at Cheltenham 2018. Sizing John, last year’s winner, will be a fierce adversary on the day, but Might Bite’s form has been impeccable as of recent and as such it’s difficult to consider any other horse taking it home in Cheltenham’s best-loved race. If you’re looking to play it safe for this year’s Gold Cup, try Might Bite at 10/3 with BetBright.